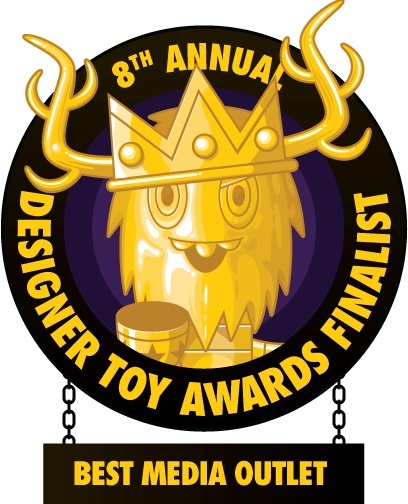 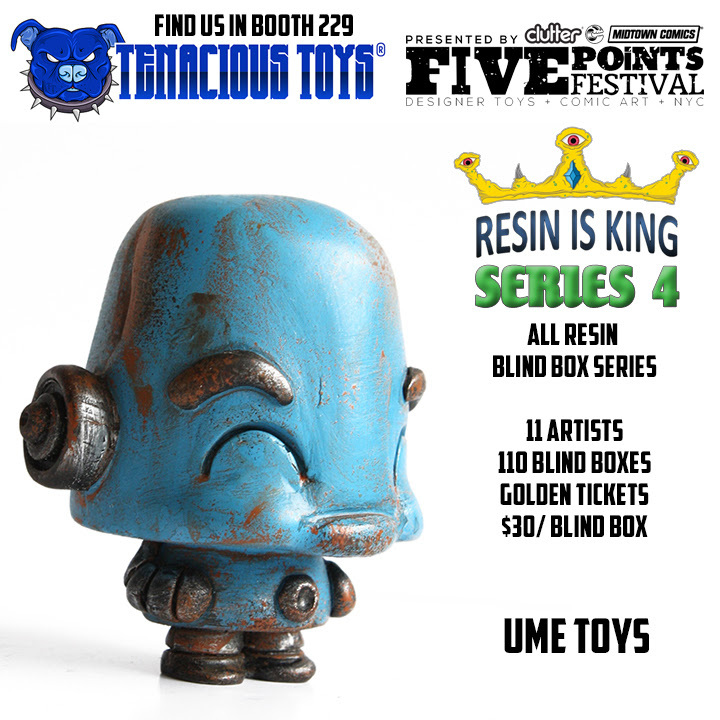 Tenacious Toys and Dead Hand Toys’ fantastic Resin Is King blind box series returns this weekend at the Five Points Festival in New York City with a new line-up artists and figures!!! 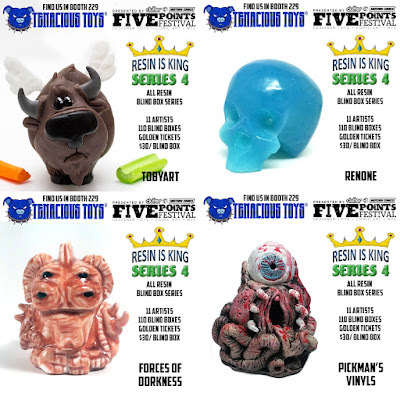 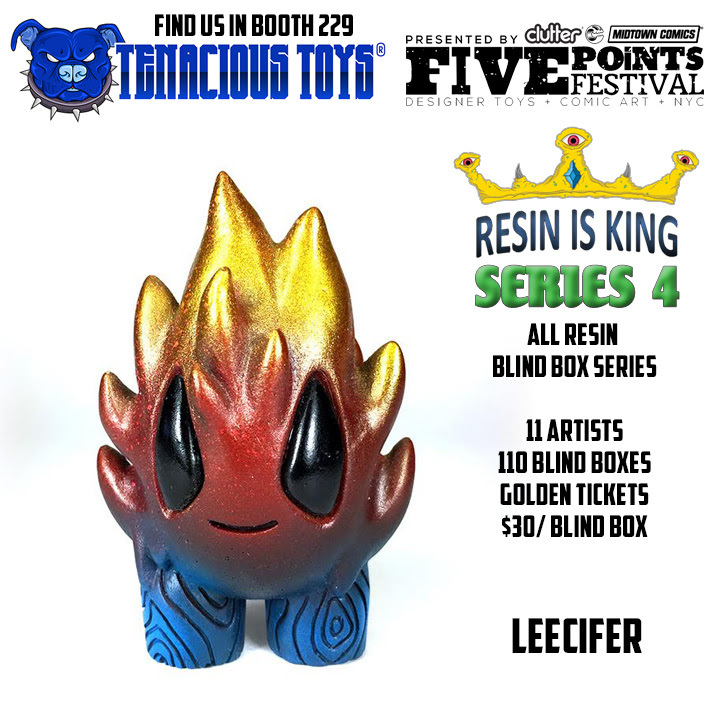 Resin Is King Series 4 will make its debut at the Tenacious Toys FPF booth #229 and includes the impressive work of 11 resin casting artists from the US and UK: Renone, TobyArt, UME Toys, Forces of Dorkness, Eyehart Toys, Pickman's Vinyls, Leecifer, One-Eyed Girl, Kyle Kirwan, Dollar Slice Bootlegs and Abe Lincoln Jr (with sculpting by NEMO and casting by Jacob JAMS). 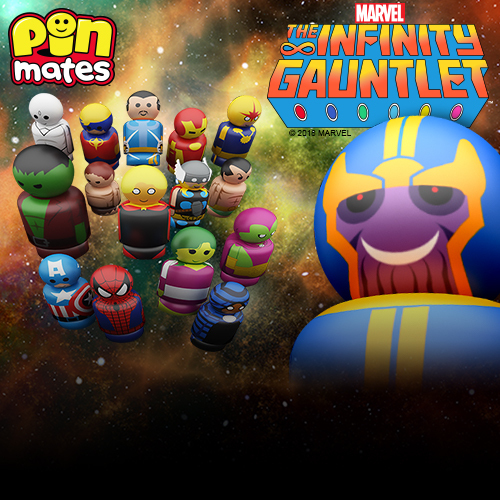 Resin Is King Series 4 consists of 110 blind boxes, with each artist contributing 10 figures in one sculpt. 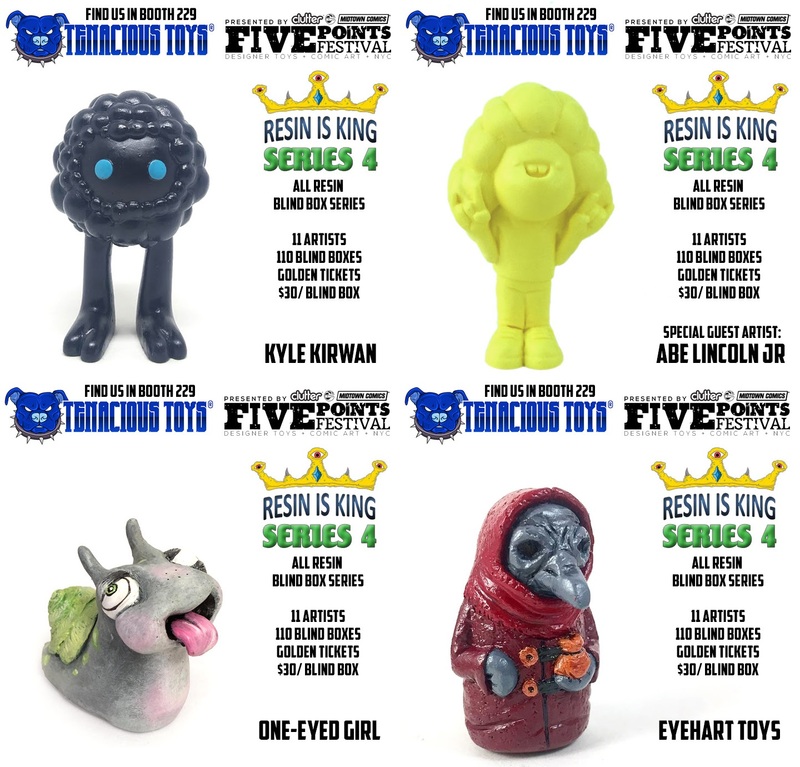 Many variations of each figure will be available blind box style, including chase color variants, alternate colorways and many hand painted details. Golden Tickets will also be hidden randomly in various boxes, which will get the recipients free resin figures, discounts in online stores, and more. 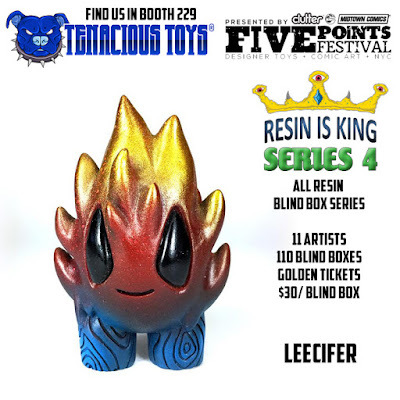 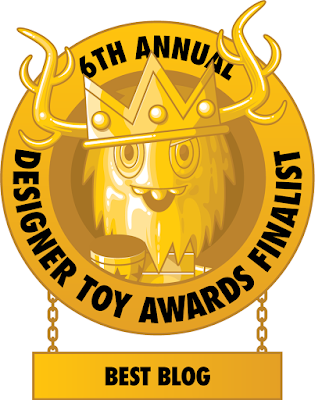 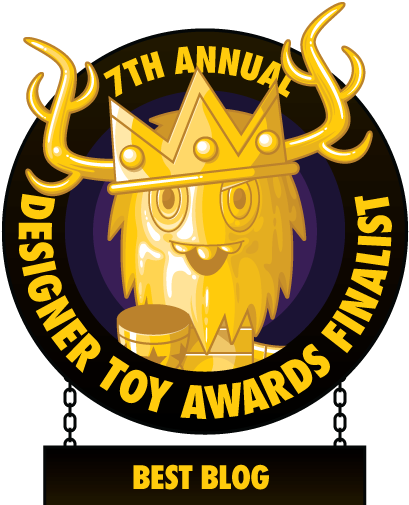 Each Resin Is King blind box will retail for $30, and Tenacious Toys will have samples available for swapping at their Five Points Fest booth. 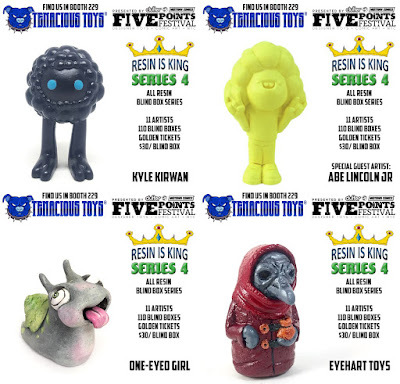 Any remaining Resin Is King Series 4 blind boxes will go up for sale in the Tenacious Toys online store after the comic con.